Brown abaya £25, Amirah Fashions; beige cardigan, La Redoute; animal print scarf £25, Oli; tan belt £15, Dorothy Perkins; patent ring trim bag £35, Topshop; bronze pumps £20, Dorothy Perkins. loving this style, this is a definate me and mashalah i have have most of the items, including a brown jilaba. You're welcome! The girl looked so good mashallah, wonder if she might be reading! Pretty and oh so easy. Brown and beige basics were once a classic in pre-muslimah Africa hopping days. SO easy to dress it up for casual elegance too! 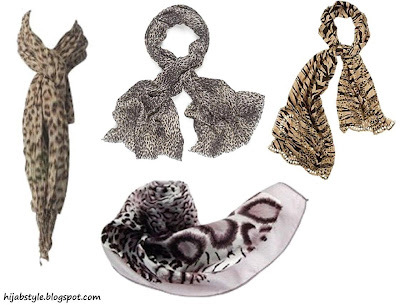 I love the brown and beige............but the animal prints are not me , any suggestions for an alternate scarf? Hot pink. lol. Not really. Try a floral (very London girl) but if your're a scaredy cat, try another neautral in a similar shade (celedon green is always lovely with beige if it suits your skin tone-same with yellow). Sis, this combination is absolutely beautiful Masha-Allah. Only if i could get my hands on one of those jubas in Australia!! !